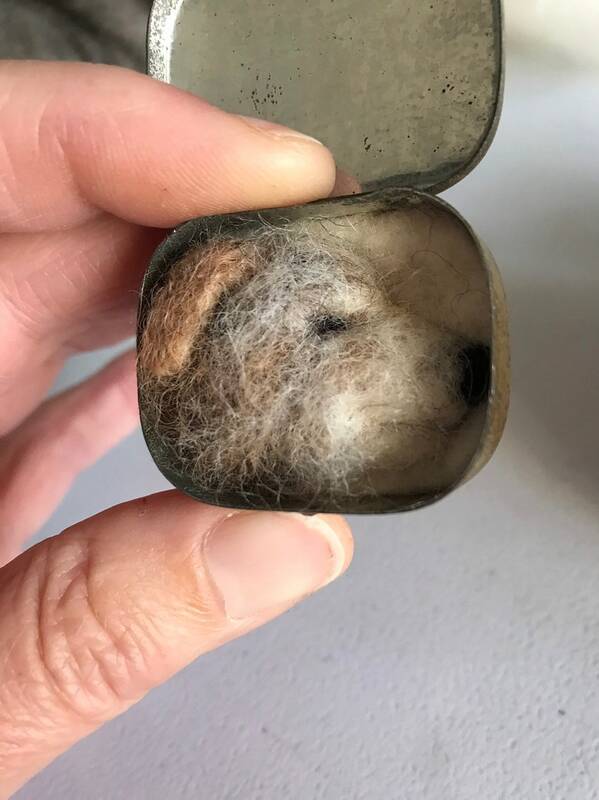 Wee little creature, a Jack Russell sculpture in a tin, a His Masters Voice tin. Made from beautiful British wool, sculpted using special needlefelt tools. A tiny little sculpture and completely uniques, a total one-off.